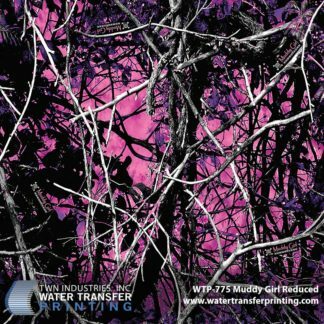 PRINCETON, FL October 8, 2013 – TWN Industries Inc., the leading water transfer printing supplier, proudly announces the use of Moon Shine’s pattern, Muddy Girl, by Hillman Racing. Tony Raines’ Chevrolet SS wore the iconic pink pattern in last weekend’s “Hollywood Casino 400” NASCAR race in Kansas City, Kansas. 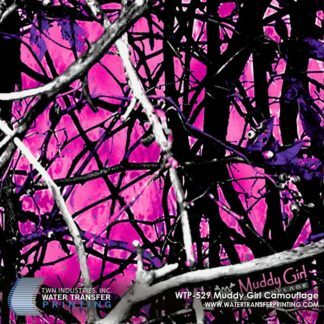 The Muddy Girl pattern was tremendously special for this event, being that October is “National Breast Cancer Awareness Month”. “A great pattern for a great cause; It doesn’t get any better than that,” stated Jerry Metallo, of TWN Industries. BEAVERTOWN, PA – Hillman Racing announced that Moon Shine, LP, a premium designer of Moon Shine Attitude Attire™, kicked off the first race of a two-race NASCAR Sprint Cup Series sponsorship last weekend at Kansas Speedway by turning the No. 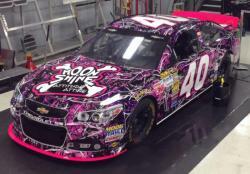 40 Chevrolet SS pink for National Breast Cancer Awareness Month with its Muddy Girl-branded camouflage pattern. Moon Shine, LP is a cutting edge designer of quality brand name apparel that conveys the attitude and traditional values of every generation. From the hunters and farmers who live off our lands to the soldiers and patriots who protect it, Moon Shine Attitude Attire® honors the essence of the American Legacy. 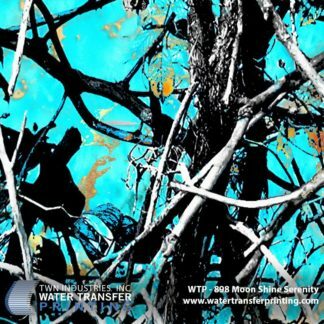 For more information, visit Moon Shine Camo or call 1.800.4.MOON.SHINE (800-466-6674).